Patients with gastroesophageal reflux may have extra-esophageal manifestations. 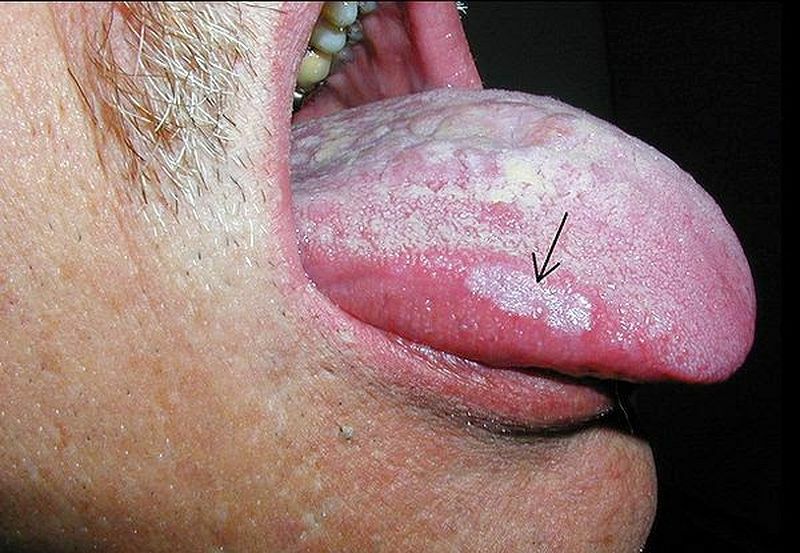 We report a 46 years old ex-smoker woman presenting with a sensation of burning mouth, xerostomia and glossitis. The patient had a history of heartburn, dysphonia and cough. Mouth examination showed a bad hygiene and abundant accumulation of plaque. Esophageal pH measurement was abnormal. Laryngoscopy showed a posterior laryngeal inflammation and mucous secretion. With these data, a diagnosis of gastroesophageal reflux was reached. Gastro-esophageal reflux disease (GERD) is a common condition and its prevalence varies in different parts of the world. GERD incidence in the population ranges from 20% to 60%. The most common symptoms of GERD are heartburn and acid regurgitation. Other common symptoms include water brash, belching, and nausea. However, symptoms of GERD could affect various tissues and organ systems beyond the esophagus: they represent the so called "extraesophageal manifestations" that include atypical chest pain that can simulate angina pectoris; ear, nose, and throat (ENT) manifestations such as globus sensation, laryngitis; pulmonary problems such as chronic cough, asthma, pulmonary aspiration and sleep apnoea. The Montreal definition and classification of GERD has described well-established associations, although not necessarily causal, between GERD and cough, laryngitis, asthma, and dental erosion. Upper respiratory tract manifestations of GERD (included the oral manifestations) such as dysphonia, laryngitis, temporomandibular disorders, xerostomia, halitosis and mucositis are widely described in the literature as related to GERD. Classic reflux symptoms may be absent in more than half the patients presenting with extraesophageal symptoms. For this reason, the first provisional diagnosis of GERD may be made by a dental practitioner as a result of clinical observation of enamel erosion or oral mucosal status. The purpose of this report is to highlight GERD symptoms and signs involving oral hard and soft tissues.